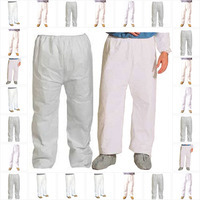 Because of the large volume of protective clothing available, we have split up the sections depending on type of body part needing protection. 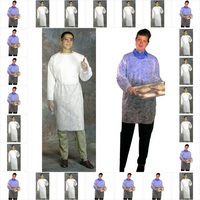 In this section we are offering protective clothing for the body. 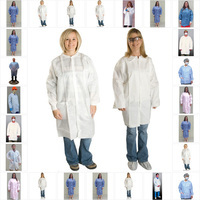 This section would include labcoats, disposable shirts, pants, smocks, aprons, and finally rainwear. 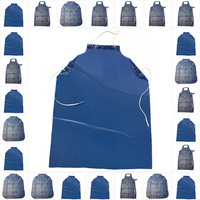 Large selection of materials and sizes available. 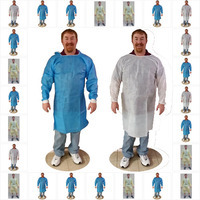 Our inventory of protective clothing for the body contains rainwear, aprons, smocks, pants, disposable shirts and lab coats. To make our inventory even easier to sort, this page contains 11 subcategories, so you can find the exact products that you need for your line of work. 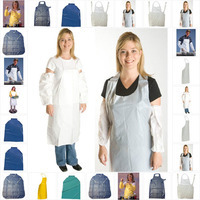 Some of the products that we carry are vinyl aprons, disposable smocks, denim aprons, cooling products, chemical splash aprons and disposable gowns. These products are designed to protect your body from cold temperatures, water, heat and chemicals. 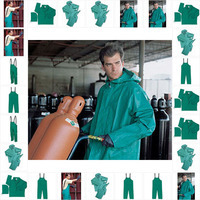 Protective clothing for the body is made to protect your body from hazards. Workers might be exposed to a wide range of hazards, and our products can protect your body when it comes into contact with chemicals, pesticides, molten metals, hot materials, radioactive materials, abrasive surfaces, infectious materials, temperature extremes and sharp objects. These are some of the hazards that you might find in a typical work environment. Our heavy-duty denim aprons come with pockets and can be used for carpentry, maintenance and construction. 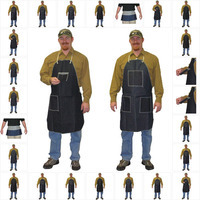 We carry two-pocket denim aprons, which are especially useful for carpenters. 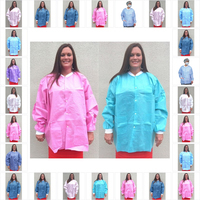 For the wettest work environments, we have MCR three-piece industrial rain suits. 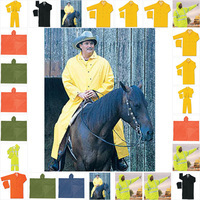 We even carry MCR Luminator yellow rain coats, which are ideal for flaggers and construction workers. 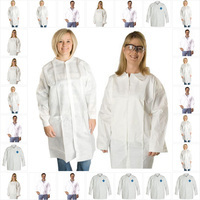 Our Miracool cooling vests can be used by construction workers to stay cool, and for employees who work around infectious hazards, our PE coated polypropylene lab coats offer excellent protection. 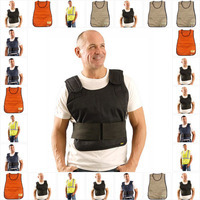 Browse our large selection of protective body clothing and find the best products for your occupation.